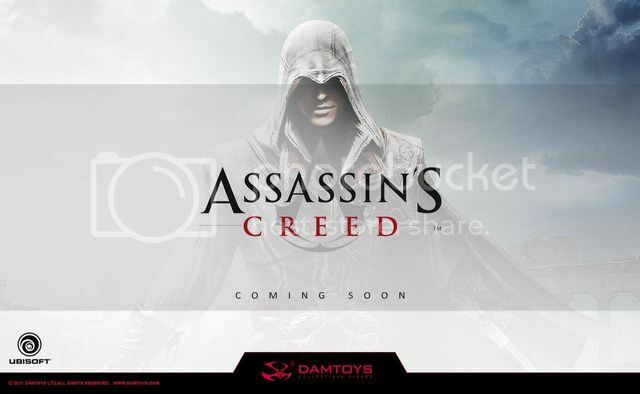 Dr Jengo's World: DamToys to produce Assassin's Creed Figures! Pretty much the last thing I wanted for my Assassin's Creed Collection! 1/6 Figures from the Assassin's Creed line! Ok, Ok I may be getting too excited.. 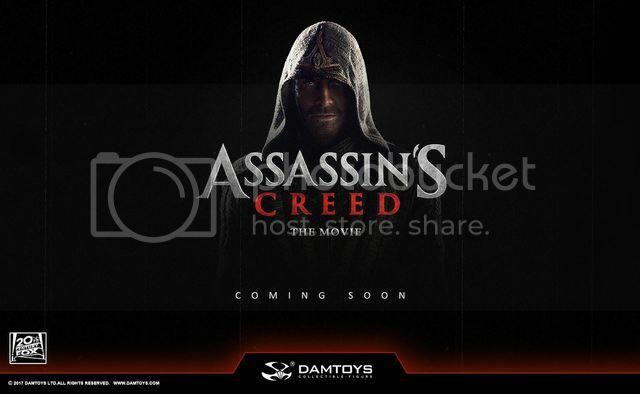 Here's the update..
DamToys just posted this on their FB Page..
"Hello to all fans of Assassin's Creed! We are glad to announce Damtoys is licensed to bring a range of collectibles from Both Assassin's Creed movie and video game series.We will present you collectible figures from the most popular video game series officially licensed by UBISOFT. And also officially licensed figures from Movie by 20th Century Fox, features Michael Fassbenderr and Marion Cotillard.Please stay turn for our updates !Thank you !" Alright so it doesn't say what type of figures and what scale these figures are going to be but DamToys are quite well-known for their 1/6 figures. If it is 1/6 figures, I'm definitely in! More than large-scale statues, I always felt the Assassin's Creed characters were ideal for the 1/6 scale. After that crazy debacle with the unlicensed 1/6 Assassin's Creed figures all that years ago, this might finally be it. Hot Toys did make a 1/6 Ezio many years back but never expanded on the license after that. So, yea I'm hoping for DamToys to finally make 1/6 licensed Assassin's Creed figures!